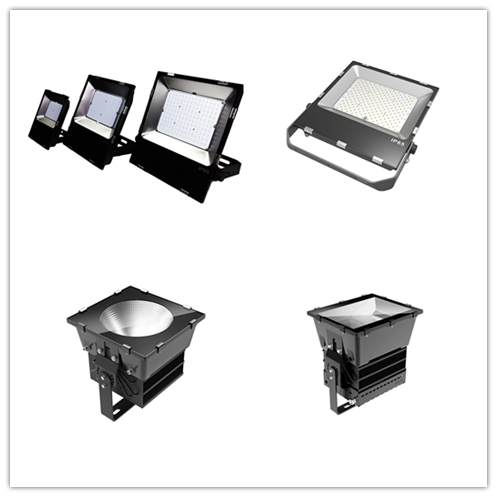 How to choose quality LED flood lights? LED flood lights are uniformly illuminated lighting fixtures that can be placed anywhere in the scene and are the most widely used source of light. It is important to select the right high quality LED flood lights to meet the lighting optimization needs of the area and to maintain uniformity and comfort between the areas. 1. LED flood light brightness (MCD) is different, the price is different. For LED luminaires, it should meet the laser class I standard. 2. Antistatic ability LEDs with high antistatic ability have long life and high price. 4. Leakage current LED flood light is a unidirectional conductive illuminator. If there is reverse current, it is called leakage, and LED with large leakage current has short life and low price. 5. Special lighting angle, the price is higher. Such as the full diffusing angle, the price is higher. 6. The most important is lighting fixtures life, and life is determined by light decay. Low light decay, long life, and high price. 7. Different wafers, the price difference is very large. The chips in Japan and the United States are relatively expensive, and the prices of wafers in Taiwan and China are generally lower than those in Japan and the United States (CREE). 8. The size of the wafer is expressed by the side length. The quality of the large wafer LED is better than that of the small wafer. The price is proportional to the size of the wafer. 9. The ordinary colloidal LED is generally epoxy resin, and the LED with anti-ultraviolet and fire retardant is more expensive. The high-quality outdoor LED lighting should be resistant to ultraviolet rays and fire. Each product will have different designs. Different designs are suitable for different purposes. The reliability design of LED lighting includes: electrical safety, fire safety, environmental safety, mechanical safety, health and safety, and safe use time. From the perspective of electrical safety, it should comply with relevant international and national standards. LED lighting with international safety certification (such as GS, CE, UL, etc.) and national product quality certificate is expensive, because these products are reliable in safety design. Consumers are paying attention to the authenticity of the certificate. There are not many manufacturers with international safety certification and national product certification. From the aspect of health, the price of products designed with non-toxic materials is high, especially for indoor LED floodlights. Don't use cheap LED lighting fixtures with peculiar smell. At present, only a few LED manufacturers use non-toxic materials to produce. The method can be used directly the nose distinguish, and the odorous product is much lower than the odorless price. Toxins like lead, mercury, and cadmium require professional staff analysis.